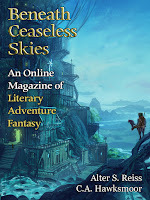 "Sea of Dreams," by Alter S. Reiss [bio] (edited by Scott H. Andrews), appeared in Beneath Ceaseless Skies issue 196, published on March 31, 2016. Pro: We have trouble deciding which of them is right about the armor: is it another illusion, or is it the real thing? When the sailors take Artois from the shore to their boat, we realize he was right after all--unless Artois himself was a dream. At a deeper level, when Artois observes that the sailors would "see the dream for the truth that it is," he's commenting on the fact that political power is also a shared dream. When Ierois asks, "how do you think that my scepter of office became a length of wood," he's referring to the fact that he lost his crown because too many people ceased believing in him. 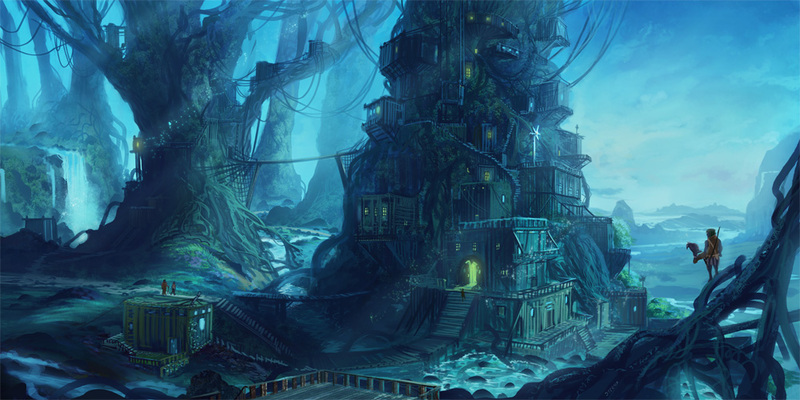 Con: Ierois is a very passive protagonist. Artois does all the work. It's fitting that Ierois is passive since he no longer believes in dreams. No one ever does anything without imagining it first and believing it into existence. If Artois was a dream too, then Ierois hasn't given up hope after all. In fact, he's dreaming bigger than ever and may get off that island yet. I love that the ending could be hopeful or bleak depending on what way the reader chooses to look at it.